"Want to leap the social barrier to cool living? Behold: a stargate." In 2008 we asked Frank Michael a tough question. Frank is a physicist, formerly with the Ames Research Center group that created the first Flying Solar Laboratory to study the sun and its “weather” and prevent astronauts from being fried by solar storms. We asked him what would happen to atmospheric carbon if everyone on earth planted a tree each day. It was an interesting question, and one that was not easy to answer. Frank explained some of the variables to us. You would want to know what kind of trees are planted; what their lifespan will be; what happens to their carbon store when they die; the net photosynthetic productivity of the forest, by hectare, based on soils, rainfall, latitude and expected climate change; the effect of all the stored carbon in the ocean that would “leak back” into the atmosphere in response — trying to re-balance the distribution of carbon dioxide — and much more. Nonetheless, he agreed to give it a go. Thus began a system model that Frank Michael will be presenting at the 7th World Congress on Ecological Restoration later this year in Foz do Iguassu, Brazil. The question changed to “what amount of trees, land and biochar would be needed to return the atmosphere to ‘normal’ and how long would it take?” We know much less about paleoclimate drawdowns and feedbacks than we know about epochs of carbonization. As his calculations and his global model became more elaborate, he began to be drawn to the complexity of the social dimension. What are the potentials for unplanned reversals like deforestation, population pressure, energy demand and urban sprawl? How many of those trees would survive one year? 5 years? 100 years? Who would care for them and how would those people be compensated? 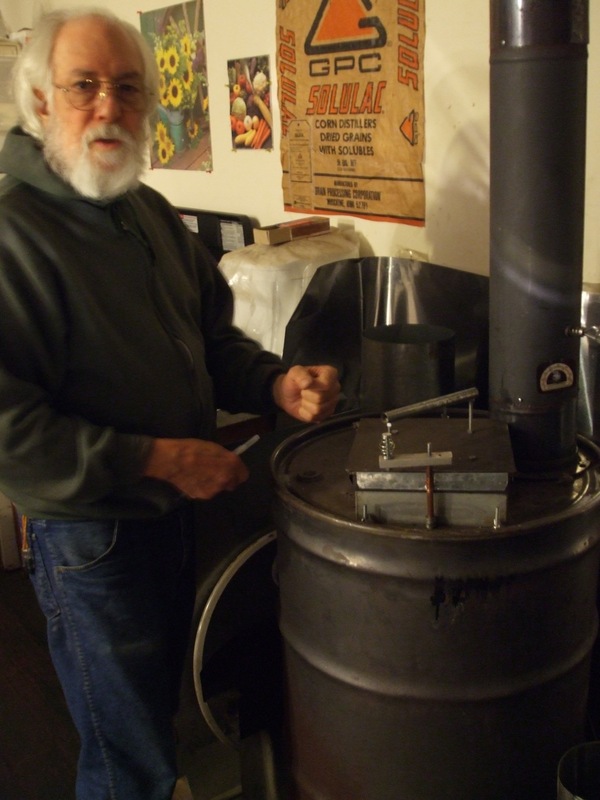 How would you pay for the biochar conversion? Frank asked, instead of every man, woman and child planting a tree a day, would it not make more sense for teams of tree planters to be gainfully employed, with nursery managers, advance planners, follow-on caregivers and the rest? How could those perennial reforesting economies be created? Wangari Maathai, as inspiring as she was, would not have been able to create the Green Belt movement in Kenya had she not been supplied continuous international grants with which to pay her forestry teams. Frank also looked at the ecological dimension. Shouldn’t the forests be optimized for ecosystem functionality, with virtuous cycle gains in biodiversity, soil fertility, complexity and regenerative resilience? Therefore, should we not avoid monoculture plantation plantings and instead favor mixed-aged, mixed-species polycultures of root crops, ground cover, intermediate canopies, standing deadwood, climbing vines and forest giants? Frank came up with a model that we can only describe as pure genius, worthy some day of a Nobel Prize should he ever be recognized. His “step harvest” system, which we first described in The Biochar Solution, sets out a practical methodology for employing hundreds of millions of forest stewards to regenerate and revitalize neglected and abandoned “wastelands,” working with principles of ecological regeneration and patch management to stack yields while optimizing ecological functions. Rather than rely on charity, it relies on capitalism – a healthy return of investment in semi-autonomous but coordinated microenterprises. During interglacial periods, the Earth normally enjoys relatively stable weather patterns and large increases in the biodiversity and expansion of vegetated ecosystems. That is changing. Extreme weather swings, melting of glaciers and polar ice, large plumes of methane rising from ocean clathrate sediments, and the massive decomposition and outgassing of CO2 and CH4 from the world's tundras are signs of great difficulties for humanity just ahead. We can expect increasingly severe and frequent heat waves, storms, floods, droughts, rising seas, flooded cities, Arctic vortices, forest fires, and crop failures. If the burning of all fossil fuels were stopped today, the effect on global climate would be minimal. This is the result of the relative chemical inertness of the principal greenhouse gas, carbon dioxide (CO2), and the thermal and chemical inertia of the world's massive mineral, oceanic and forest carbon sinks. While switching from fossil to renewable energy sources is necessary and desirable for ecological, economic, and health reasons, it is no longer sufficient to stabilize the climate. What is required is a direct, rapid, massive, and sustained removal of petagrams of carbon dioxide from the atmosphere, using effective, timely, verifiable and economically sustainable methods. There are compelling reasons for the extremely rapid implementation of such an undertaking. Within a few decades of business-as-usual, extreme climate volatility will make forestry and agriculture difficult and no longer cost-effective over large regions of the world. Furthermore, at the current atmospheric CO2 concentration of >400 ppm, the planet has passed the threshold into a region in which a methane-emissions-driven runaway climate is more likely, and where even more severe amplifying climate feedbacks are likely. Each year it becomes more urgent to 1) sequester all the past, current and future global fossil fuel CO2 net emissions and 2) rapidly bring atmospheric CO2 to well below 350 ppm, preferably to preindustrial levels of 240-260 ppm. 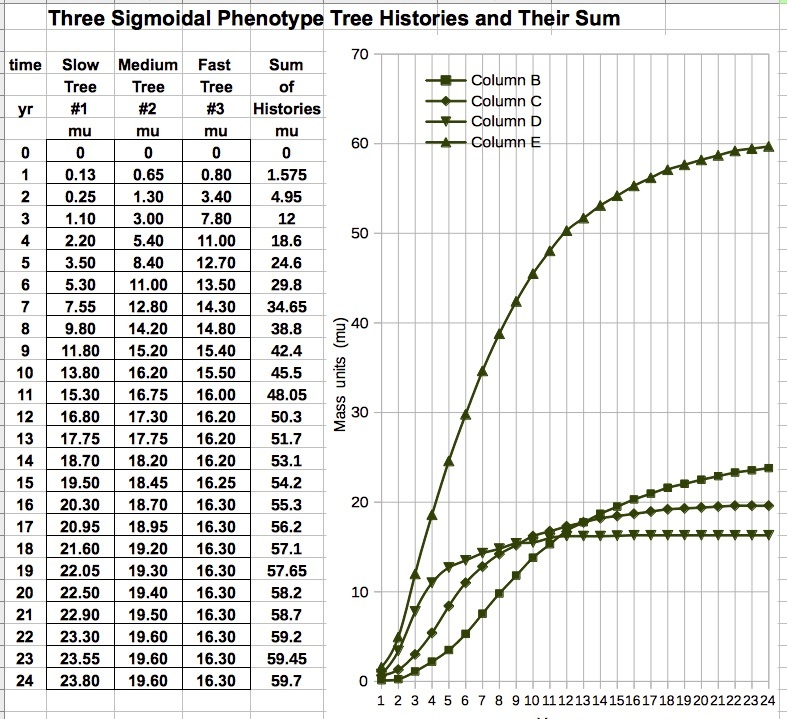 Climate Ecoforestry is a viable methodology for retracing our way back to the Holocene relatively quickly. Permaculture and ecovillage design provide the means to implement and to take that to scale rapidly enough to matter. What is often called “social permaculture” is a key element, because it is not enough to temporarily halt emissions or start using techniques of agroforestry and carbon farming (or BECCS, which we'll describe separately). Those efforts have to be sustained for several human generations. The trees and perennial crops that are planted now have to stay there, and if storms, droughts or fires remove them, they need to be replanted. There needs to begin a transgenerational culture of stewardship. The social glue is cognitive semantics training, and the economic engine will be, in most cases, small (village) scale microenterprise hubs that we are calling the Cool Lab. Key to that is capital redirection and training of trainers. Climate Ecoforestry at its most basic is a process of optimizing land use for its photosynthentic capacity. In plants, algae and cyanobacteria, solar energy capture in the form of sugars is produced by light-independent reactions called the Calvin cycle. Some bacteria use different mechanisms, such as the reverse Krebs cycle, to achieve the same end. In the Calvin cycle, atmospheric carbon dioxide is incorporated into already existing organic carbon compounds, such as ribulose bisphosphate (RuBP). Using the ATP and NADPH produced by the light-dependent reactions, the resulting compounds are then reduced and removed to form further carbohydrates, including long carbon chains like fructose and glucose. Carbon is taken from the atmosphere and stored in the cells of a growing plant. This process is the foundation of life on Earth. The energy of the sun is captured, first in light-gathering proteins of bacteria, then chloroplasts of plants, then in the cell membranes of plants and animals, and finally as labile carbon to feed the needs of living organisms and provide ecosystem services. As a biproduct we get oxygen and the biological types of life we've come to know and love. Carbon is very special. To say it is the building block of life is almost an understatement. It is difficult to conceive of how life could exist without its unique abilities. 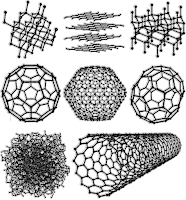 Carbon’s compact atom can form more different compounds than any other element. It can even form covalent (shared-electron) bonds with other carbon atoms, which in turn can share electrons with others and so on, forming long strings, complex branchings and "head-to-tail" rings of carbon atoms. There is practically no limit to the complexity of carbon branches or rings. 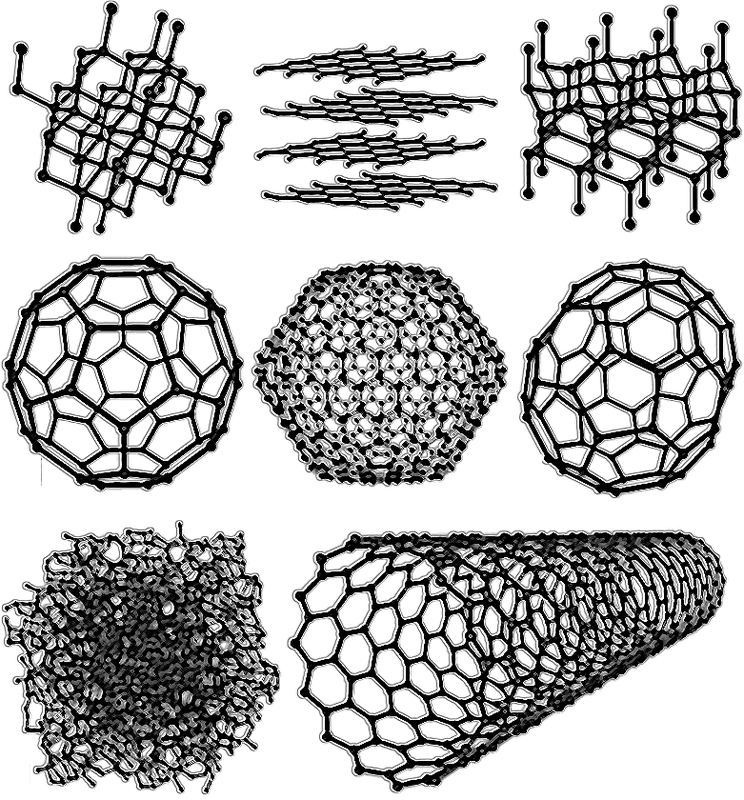 Allotropes include diamond, graphite, graphene, buckyballs and carbon nanotubes. 1. holds moisture, air and nutrients, promoting biological activity. This is the foundation of Frank’s climate ecoforestry model. A mixed-age, mixed-species, ecosystemically-oriented, climate-resilient forest, perennial grassland and wetland, plant and animal system is gradually established, augmented, with biochar at its root zone. 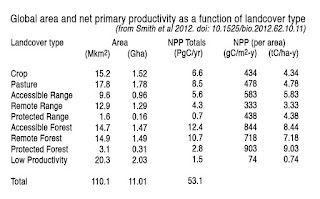 While not reducing its productivity as a whole system, vegetation is pruned, coppiced and selectively harvested and both soils and vegetation renewed at intervals determined by energy and nutrient flows, rainfall, growth cycles and planting capacities. The daily harvest is taken to the Cool Lab for processing. With human ingenuity, biochar becomes a microenterprise incubation engine, using the unique structural qualities of carbon to fashion products and services as varied as the creative instincts of those making and using them. It closes the pass-through resource-to-waste chain and builds circular economies. There establishes a gradient of inwardly directed intensity. The outer spiral edge is agroforestry; serving as green buffer, photosynthesis depository and biodiversity accumulator. Inwardly concentrating are semi-autonomous self-organizing microenterprises: polycultures of aquatics, perennial grasses and animals in pasture, legumes, and coppice crops. At center the Cool Lab produces bioenergy, leaf nutrient concentrates, biochemicals and biomaterials. Many products and services are sequentially cascaded outward to periphery from the same labor and energy input. The flexible lab design allows highly variable production of different streams, maximizing value creation by real time adjustment to local and global demands and available enterprise talent. Typical biomass energy systems have net energy returns of 2 to 4 percent rendering them unlikely replacements for fossil energy with a much higher EROI (energy return on investment). The Cool Lab produces and consumes its own energy by biomass conversion. By cascading value (products and services) from the same source, it can raise EROI to triple digits. 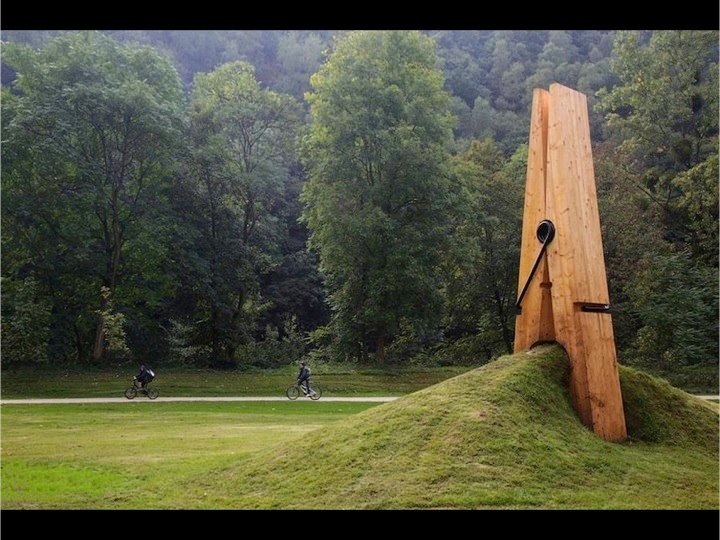 Potential yield is limited only by human imagination. "Waste" is a stranded verb. The model creates long-term jobs and educational opportunities and allows self-financing of a viral economic model. 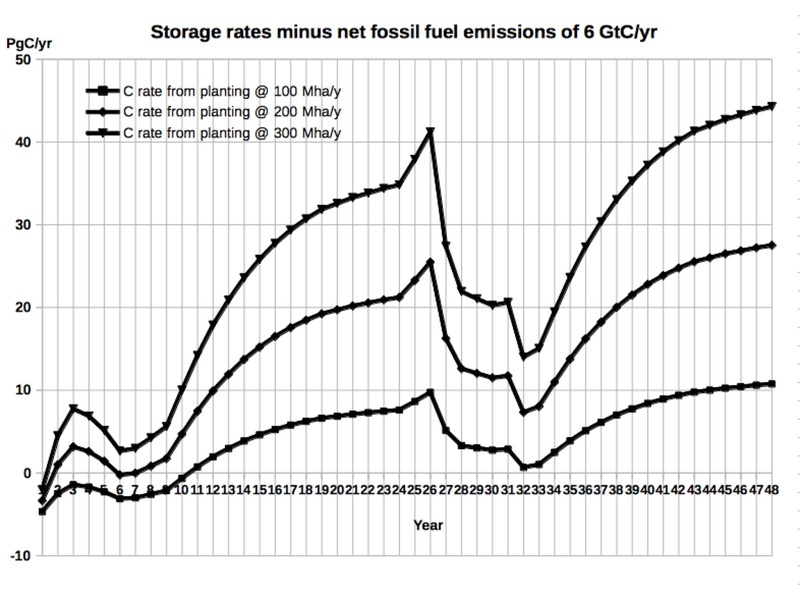 The recalcitrant carbon cycle — biomass to biochar — locks carbon away for thousands to millions of years. While useful to stimulate the soil biology, it has the added benefit of holding more oxygen and water, which better mitigates the damage of extreme weather. It also helps the nitrogen cycle, something seriously out of balance but seldom mentioned. By growing perennial supergrass pastures and feedstocks, combining compost and manures with biochar, and feeding biochar as a nutriceutical to herds of migrating herbivores, the story becomes one of negative emissions — net sequestration — almost immediately, continuing indefinitely. And the best part: it produces profits from the start, no carbon markets, taxes or subsidies required (although those could serve as accelerants if used with care). Now comes the arithmetic. 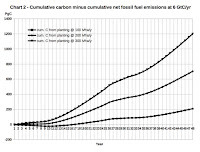 Frank’s model predicts that if ramped up to a planting rate of 200 million hectares per year (Mha/yr), equivalent to four Spains, in 24 years it would cover 4.8 Gha and be sequestering 14.6 gigatons of carbon per year (GtC/yr) or 2.7 times the current net global emissions. Can we find 4.8 Gha to plant? Yes, and without disturbing existing farms, cities, or having to green the deserts (although that may also be desirable as we restore larger hydrological cycles). The land is there at the margins, and it has been inventoried and cataloged. Climate change is actually expanding the no-longer-commercially-viable land available for these uses. Because Earth’s oceans balance carbon concentrations with the atmosphere, as carbon is withdrawn from one, the other responds by refilling it. To remove six gigatonnes from the atmosphere and have it stay that way, we have to actually remove twelve. The model shows that continuing rotational cycles at 200 Mha/yr on the same land would sequester a cumulative 667 GtC, the amount of carbon required to bring atmospheric CO2 back to 300 ppm by year 56. With reductions in fossil fuel emissions, 300 ppm could be achieved on years 45 to 48, depending on the scale of reductions. If the rate of implementation were raised to 300 Mha/yr, the goal of 300 ppm would be reached in years 35 to 37 from startup. These numbers may change. While many less ambitious studies exist, as far as we know Frank Michael is the first to integrate so many variables into a single model, and to attempt to incorporate the labile and recalcitrant carbon cycles (biochar), the known unknowns of reverse forcings, and human labor. As more researchers work over these models, improve upon them, and test them against real world results, there can be little doubt that these early beginnings will seem primitive and be superceded by much more elaborate calculations. What the model says answers the question of whether we can reverse climate change in a time frame short enough to matter. The answer is yes, we can. What it cannot answer is whether we will. This post is part of an ongoing series we're calling The Power Zone Manifesto. We post to The Great Change and Medium on Sunday mornings and a day earlier for the benefit of donors to our Patreon page. It is not just trees that is important, but the restoration of soils that have suffered from industrial monocrop agriculture. Living soils store far more carbon than forests. Restoring the great plains to natural prairies ecosystems would do far more the draw down carbon (if that is important) than planting trees. Restoration of natural ecosystems should be the model, rather than one-off solutions such as planting trees. Stay with this series Michael Lewis. You raise an important point and one we have addressed often before. One needs to distinguish between labile and recalcitrant forms of carbon when one speaks of transferring from one reservoir to another. 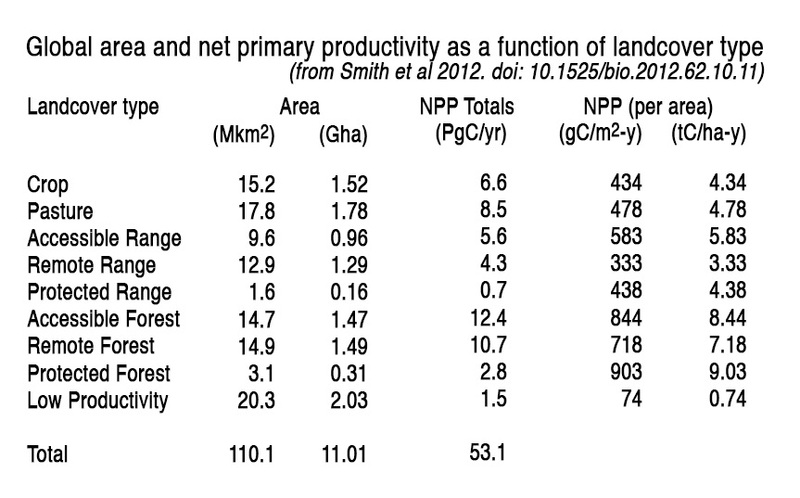 I agree that grassland ecosystems are fastest way we have to move carbon into soils. But it is a tortoise and hare comparison. To keep it there you need forested systems and biochar. How do I get involved directly with this? I have no background in agriculture, biology, engineering or science, but I don't want to have to tell my daughters I sat by and watched it happen. Current skillet is mostly building software, websites and other IT related stuff. Also have a little business know-how and am willing to relocate to anywhere in the world. What can I do or start learning? Albert, although you're correct ecologically about prioritizing the sequestration of carbon, over the energy-industry approach, it is still valid to place at the top of our species' to-do list the shutting down of all fossil fuels industries immediately. It is worthwhile if only for the culture-changing and lifestyle-changing process that would be triggered, involving collapse responses as well as restructuring of society. For it is the roles in society, particularly tomorrow's, that may allow the proper prioritization of humans' environmental and ecological activity. You will have a statue for both approaches, is my guess. James Hollister: contact us through eco2.cool. Your skill set is very helpful! These ideas should definitely be studied and pursued. One caution. It is essential that we stop burning fossil fuels by transitioning as rapidly as possible to wind, water and solar electricity. The burning of fossil fuels sends CO2 into the atmosphere faster than any know natural process can absorb it. To keep the bathtub from overflowing, first turn off the spigot!! 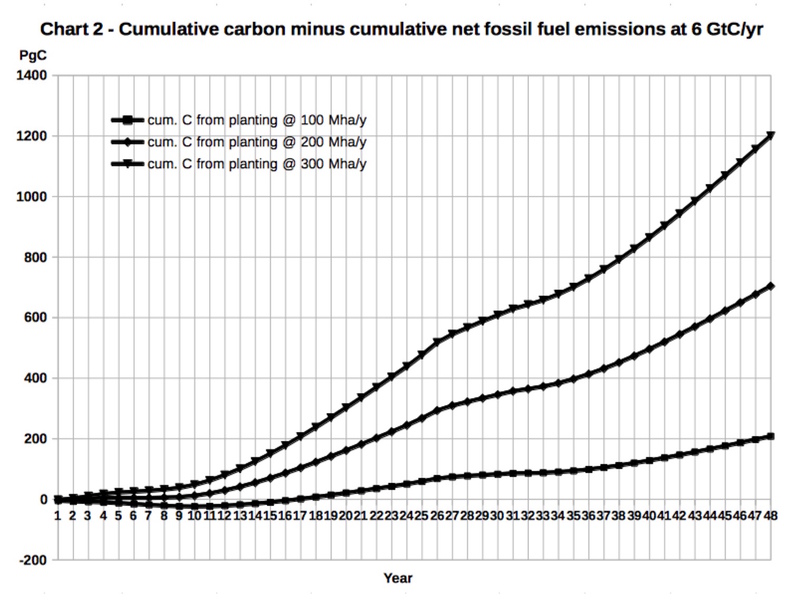 I too did a similar, if less intense, back of envelope analysis of planting vegetation to offset CO2 emissions, and the figures prove that it is very doable. My vegetation of choice was industrial hemp so as to provide other industrial feedstock more rapidly than trees can, but overall the climate change impact would be similar. Planting the roofs of our urban structures, the barren lawns of our suburbia, etc, would further help air quality. 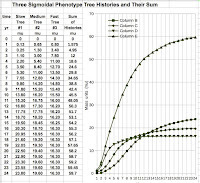 Trees are a bit slow, but trees, in conjunction with fast growing industrial useful plants (soy, hemp, etc) and other vegetative improvement investment by ANY single large country could begin slowing the CO2 growth, and if several get on board they could cause drawdown of global CO2 in a reasonable (human lifespan or less) atmospheric CO2. The lack of economic and political will to do this on a large scale confuses and confounds me. I am planting my land with what I can afford to as I can afford the time and encourage others to do the same. Interesting JJ Grey. Can the hemp be converted to biochar or fixed so the carbon is sequestered for a long time in some other process?